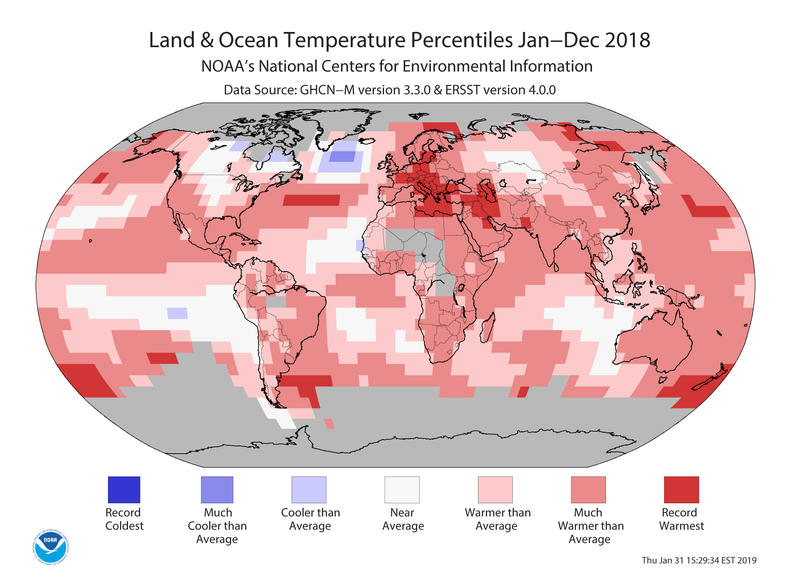 Earth’s long-term warming trend continued in 2018 as persistent warmth across large swaths of land and ocean resulted in the globe’s fourth hottest year in NOAA’s 139-year climate record. The year ranks just behind 2016 (warmest), 2015 (second warmest) and 2017 (third warmest). In the U.S., last year’s weather story was more about wetness than heat. Precipitation for the contiguous U.S. averaged 34.63 inches (4.69 inches above average), the third wettest year in the 124-year record. Much-above-average precipitation to record-high precipitation fell across much of the contiguous U.S. east of the Rockies. The average temperature for the contiguous U.S. was 53.5 degrees F (1.5 degrees above average), making 2018 the 14th warmest year on record. This was the 22nd consecutive warmer-than-average year for the U.S.
Much of the contiguous U.S. was warmer than average, particularly west of the Rockies and across the coastal Southeast. Most of the Northern Plains and Upper Midwest experienced near-normal temperatures. 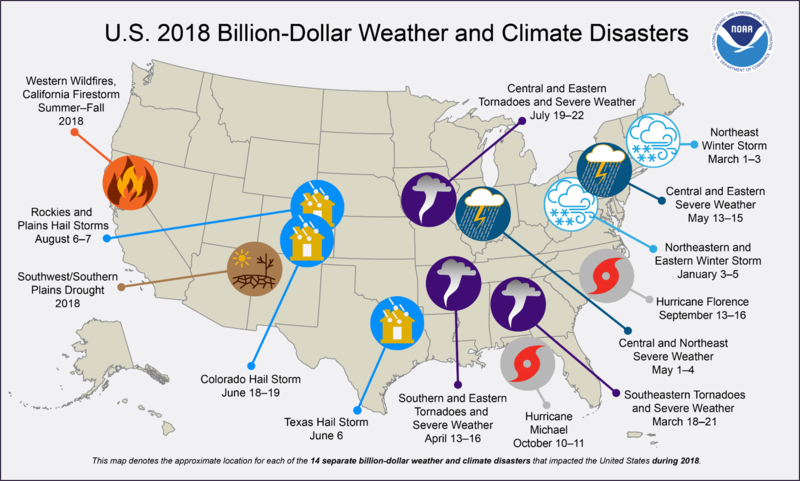 More > Access NOAA’s full reports on the 2018 global climate analysis and the U.S. billion-dollar weather and climate disasters. This post originally appeared on NOAA's website and can be viewed here.